CURRENT TOPICS RELATED TO THE COMPANY. 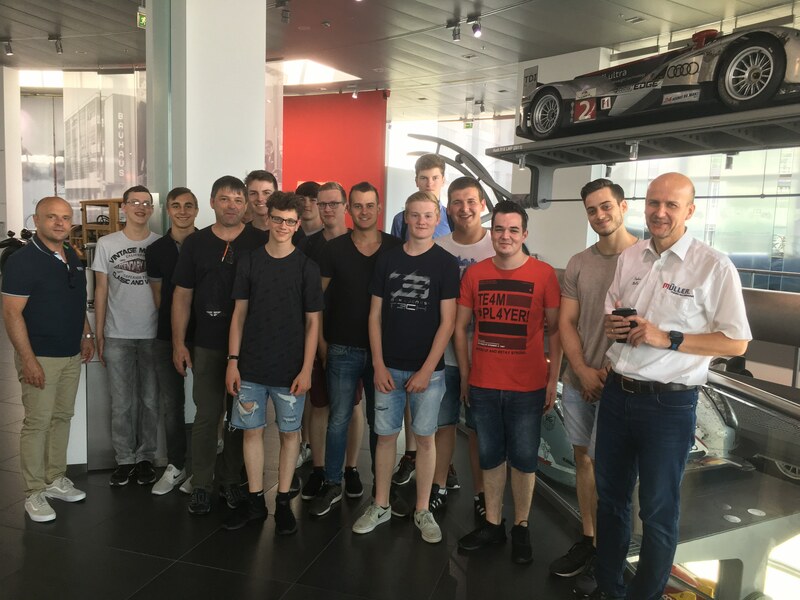 Our trainees visited the Audi Sport Experience in Neuburg, Bavaria, on 8 June 2018. They took a compelling look behind the scenes to Audi’s extensive racing activities. One special highlight was a visit to vehicle construction for current racing cars, not normally accessible to visitors. The group marvelled at how the parts and components that we manufacture were fitted into a racing car. After lunch, the group completed the successful excursion with a visit to the Audi Museum in Ingolstadt, Bavaria.